Empower Electric gives back to the community in a number of ways but our favorite annual campaign is our fundraiser for Breast Cancer Awareness. 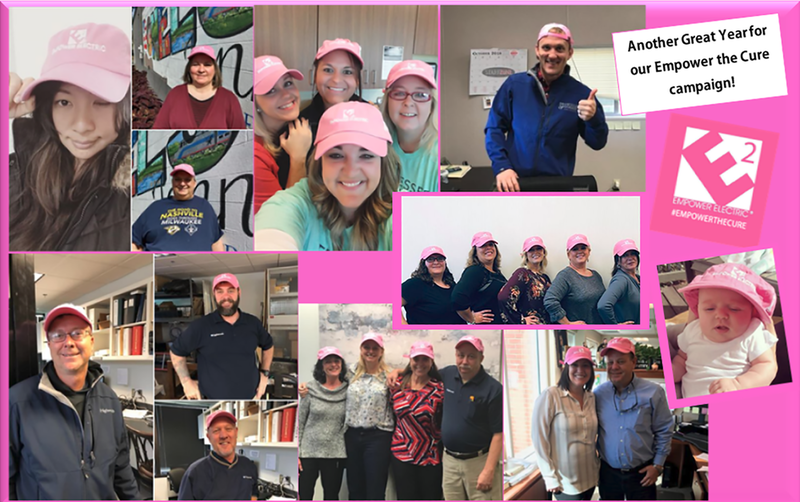 During the month of October, our employees, vendors, owners and GCs sport our “pink hats” and post photos to social media using #empowerthecure. Every year, we raise and donate around $10,000 for BCRF.